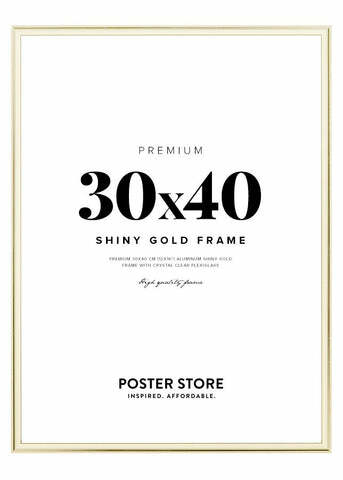 Stylish gold picture frame that fits 50x70 cm - 20x28 in posters. 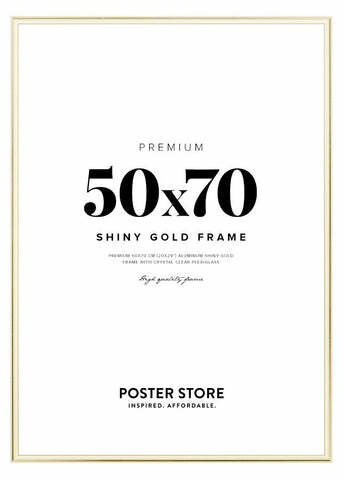 The gold frame gives a beautiful contrast to the poster and it is equipped with two hangers of metal on the back, making it possible for the frames to be hung either horizontally or vertically. Width: 9mm. Depth: 20mm. 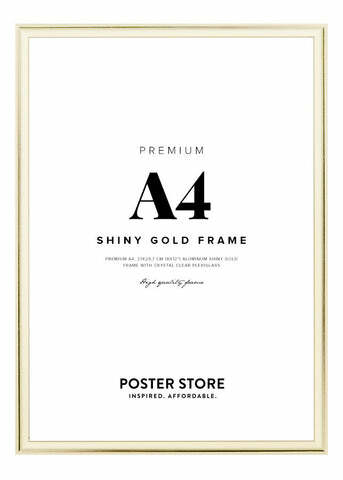 The gold frame comes with a crystal clear acrylic glass. 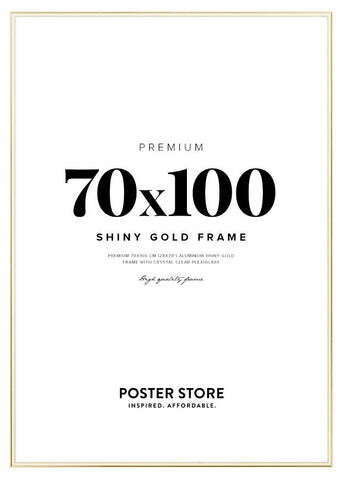 Posters in the product images are not included.